A special court under the NABU allegedly contradicts the Constitution. The Supreme Council of Justice considers the draft law on the creation of a special anti-corruption court, which would consider the criminal proceedings opened by the National Anti-corruption Bureau (NABU) as contrary to the Constitution. In an online release on March 9, the council published an approved advisory opinion on the bill No. 6011 "On Anti-Corruption Courts" (co-authored by MPs Yehor Sobolev, Mustafa Nayem, Svitlana Zalishchuk, Serhiy Leshchenko, Ivan Krulko and Oksana Syroid). "The Supreme Council of Justice, has considered the draft Law of Ukraine On Anti-corruption Courts to conclude that the adoption of the bill would be contrary to the Constitution of Ukraine and inconsistent with the laws of Ukraine On the Judicial System and Status of Judges and On the Supreme Council of Justice," reads the statement. Under the law, the Supreme Council of Justice provides compulsory for review advisory opinions on bills related to the creation, reorganization or liquidation of courts, the judiciary and the status of judges. 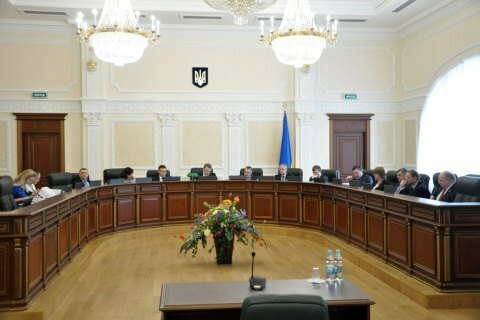 During the preparation of the expert conclusion, the Higher Qualification Commission of Judges of Ukraine stated it opinion regarding the procedure for selection of judges, the State Judicial Administration of Ukraine on the material and technical support of the work of the court, the Council of Judges of Ukraine - regarding issues related to judicial self-government provided their conclusions. Currently, the cases investigated by the NABU are being considered by the Solomyanskyy District Court of Kyiv (the district where NABU headquarters are located). The Bureau has repeatedly expressed dissatisfaction with the decisions of this court and demanded the creation of a Supreme Anti-Corruption Court which would review all cases opened by the NABU will, and whose rulings can be appealed against only in the Supreme Court. The US and the EU have strongly advised creation of such a court.